Olive oil as facial moisturizer, olive oil as a body moisturizer... Did you know that extra-virgin olive oil can be used as a natural moisturizer? 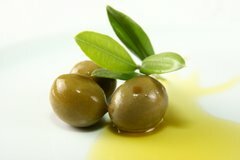 Olive oil has been used for centuries in Europe as a regular moisturizer and to prevent dry skin. Many women have used olive oil as a facial moisturizer as well. Because it is completely natural you won't need to worry about any chemicals or compounds found in many moisturizers that are commercially-produced today. That also means you don't have to worry about any harmful side effects or allergic reactions with olive oil. It is great for relieving dry skin. It can't get easier than this. Just use olive oil right out of the bottle for your face and body. You can use it as a daily moisturizer and also use it as a night cream. Apply the oil to your face, around the eyes and your laugh lines, even your hands and cuticles. If you feel strange using it straight out of the bottle, try mixing a drop of olive oil with your favorite lotion and rub thoroughly into the skin. You can also try mixing a few drops of olive oil with fresh lemon juice into the palm of your hands and apply evenly on your face and hands. Adding lemon juice will give it that extra boost and you'll feel rejuvenated. In order to avoid greasiness try applying it on wet skin. This remedy will probably cost far less than what you will spend for any anti-aging creme. This is one of the best and simplest olive oil skincare regimens. It's wonderful to use olive oil as a moisturizer. However, I won't recommend using the olive oil moisturizer directly under makeup because the makeup tends to run. If you plan to wear makeup, be sure to blot your skin and get rid of excess oil before putting your makeup on.